Risingbd Desk: Bangladesh is the second largest supplier of online labour, says a recent report, analysing data from e-platforms connecting freelancers with employers. India is the traditional labour outsourcing destination for online labour accounting for 24 per cent of the total labour, according to Online Labour Index worker supplement study by the Oxford Internet Institute. India is followed by Bangladesh (16 per cent) and US (12 per cent), according to the report. India, Bangladesh are followed by US, Pakistan, Philippines and the UK in what is being termed "digital gig work" or freelance work offered online. Oxford Internet Institute of the University of Oxford published the report last week. It hosts the "iLabour project" as part of which the Online Labour Index is produced. This report analysed data for the first week of July. Different countries' workers focus on different occupations. 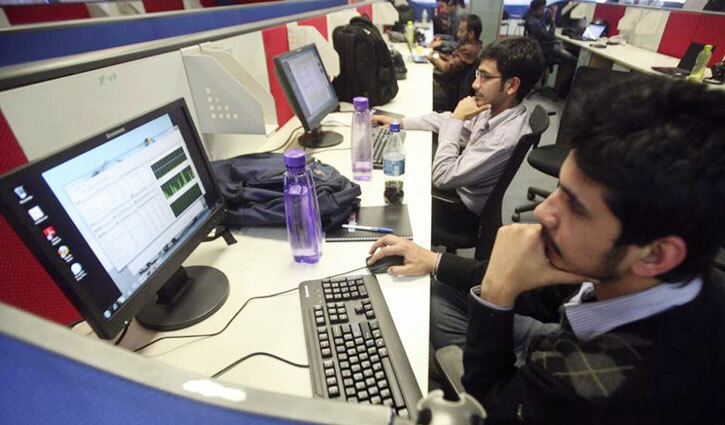 The software development and technology category is dominated by workers from the Indian subcontinent, who command a 55 per cent market share. The professional services category, which consists of services such as accounting, legal services, and business consulting, is led by UK-based workers with a 22 per cent market share," says the report. While software and technology services was the top sector for India, creative and multimedia services came second, and sales and marketing support was the third most popular online labour sector for the country. The report analyses data from four online platforms -- Fiverr, Freelancer, Guru, and PeoplePerHour. "Based on traffic statistics, we can estimate that these four sites represent at least 40 per cent of the global market for platform-based online work. The figures are thus likely to give a reasonably good indication of the overall contours of the market, and especially of what skills different countries bring to the global market," says senior OII research fellow Vili Lehdonvirta in an online post that published these figures.